All that's missing is a glass of sweet tea. 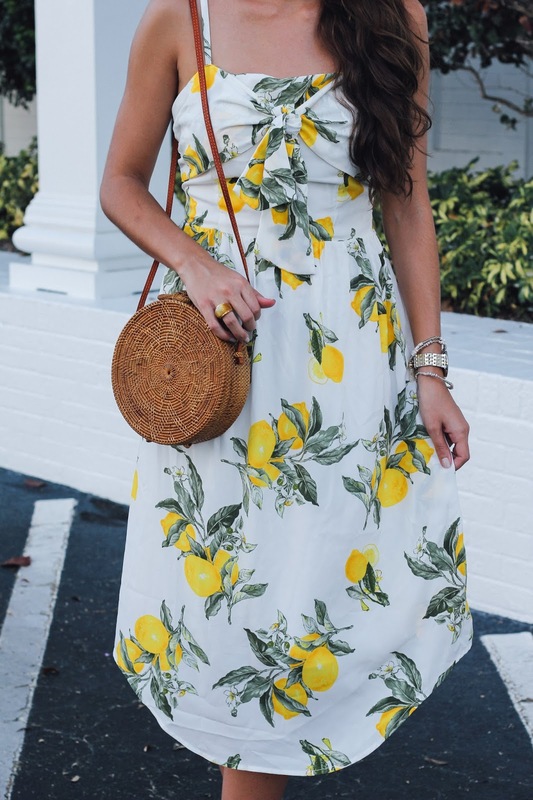 Seriously though, is the lemon print craze not the cutest thing you've ever seen? I'm guilty of wearing my favorite watermelon print pajamas all the time, but never thought about how fun sporting fruity designs around the town would be until this summer. Now if you know me, you would probably say that this is so far from "my style". But, I'd like to note that I am exploring some new things when it comes to the latest trends, and am loving the lemon print. Whether you're a fruit gal or not, I highly recommend trying out the trend before it's too late! 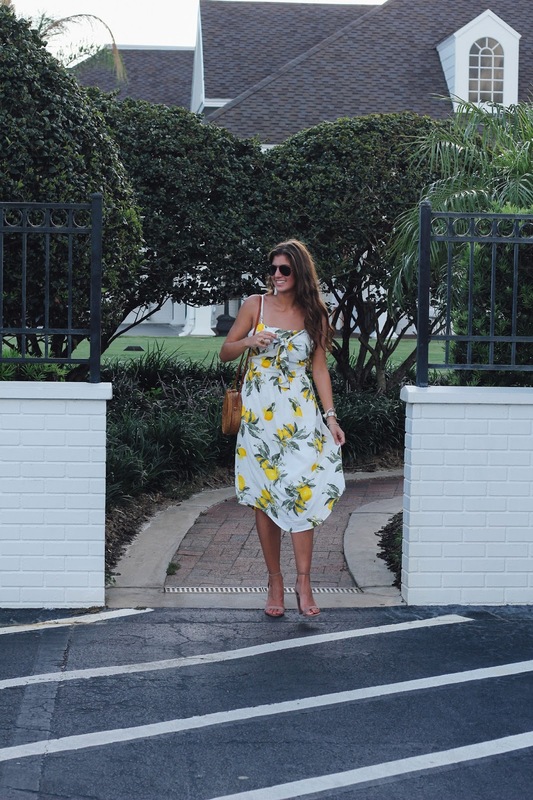 I wore this dress to dinner at our local country club and to a blogger brunch event, and it was a hit in both places! Everyone was gushing about how quirky the print is and how cute the design of the dress was (with the top tie). 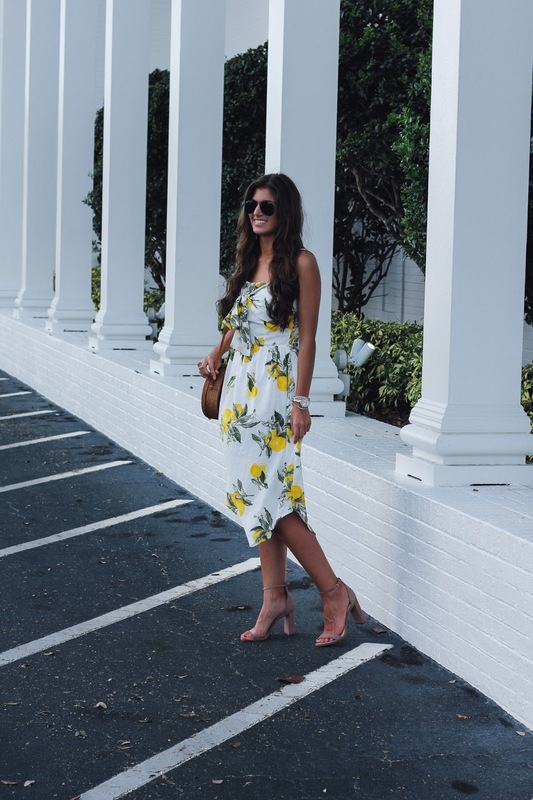 There are so many lemon print items out on the market right now from shoes to swimwear. Wear do you want to rock your lemons? 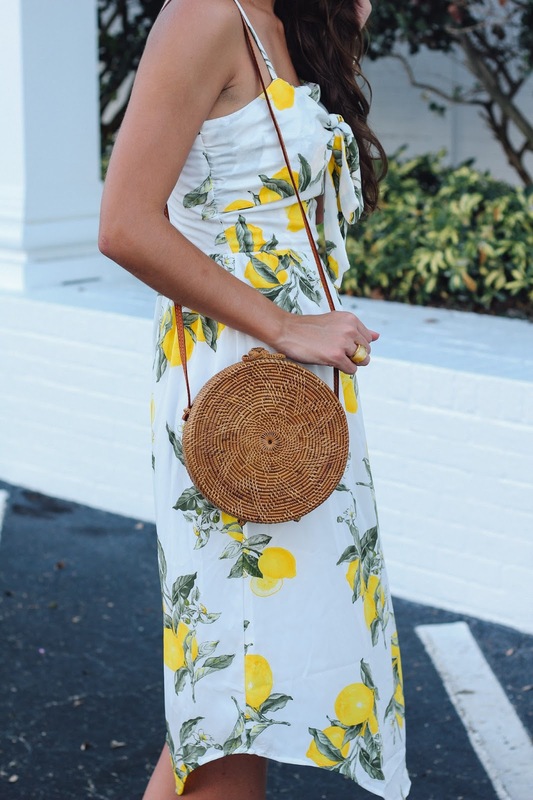 I am so obsessed with lemon print! This dress is adorable on you and I love that bag!